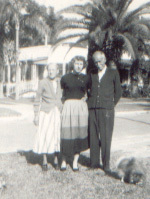 James and Dellar with granddaughter Dottie in Florida in 1951. 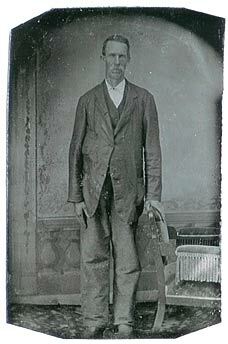 James married Dellar Wheeler and together they had eight children. He died 13 September 1953 of pneumonia and was buried in Mount Olivet Cemetery. (Alfred?) Swann or Swan c.1855 - ???? Rebecca Daisy Revis 1853 or 1854 - ???? Mayme Victoria Revis 1900 - ? Florence Omega Revis 1903 - ? Oliver Duffield Revis 1907 - ? Maude Marie Revis 1911 - ???? Mildred Ruby Revis 1914 - ? Last altered on 7 June 2004 by Bradley James Wogsland.